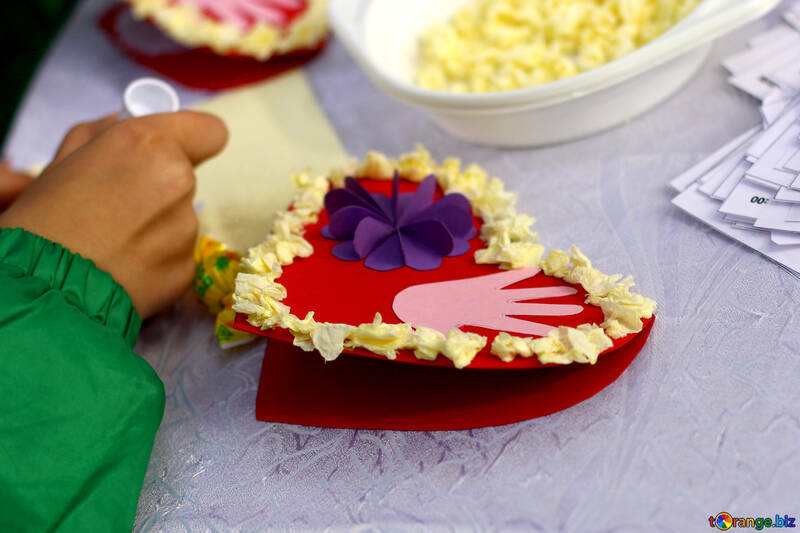 Valentine’s Day is this Thursday, why not do a fun craft with your kids on that day? Here are a few ideas from DealDash for some quick and easy crafts to do with your kids on Valentine’s Day. Valentine’s Day is the most romantic day of the year, but it does not have to be just for people in love. Kids can enjoy Valentine’s Day also. There are so many activities that you can do on Valentine’s Day with your kids such as doing arts & Crafts for Valentine’s Day. Here are some fun crafts that you can do with your kids, from DealDash. Making a heart out of yarn is a fun craft for kids to do on Valentine’s Day. You can also use the heart as holiday decorations. Creating a heart out of yarn is simple. All you have to do is use a piece of cardboard to cut out the shape of a heart. Take a piece of red or pink yarn and wrap it around the cardboard shaped heart. Then cut off the yarn and make a loop at the end. This Valentine’s Day craft is easy for your kids to do. Kids love candy. Decorating a candy jar is a fun way to bond with your kids on Valentine’s day. All you have to do is a get a mason jar and decorate it with different Valentine designs like hearts. You can cut these out of construction paper, magazines, use stickers, or other craft materials. After you finish decorating the mason jar, you can fill up the jar with candy hearts. A pom-pom Valentine’s Day box is a fun craft to do for Valentine’s day gift. It is great to use for holding your kid’s Valentine’s Day cards and treats from their school. All you need is a heart shaped box, glue, and pink and red pom-poms. You can find the pom-poms and heart-shaped box at Wal-Mart or Target for an affordable price. Celebrating Valentine’s Day with your kids can be a fun and rewarding experience. These crafts will help your kids know the true meaning of Valentine’s Day which is love. When you use these craft ideas you and your child will have a memorable Valentine’s Day. Thanks so much for reading this DealDash article on making Valentine’s Day crafts with your kids. Don’t forget to check back often for new articles here. You can get a gift card for craft supplies on DealDash. Check DealDash for gift cards to stores and restaurants. DealDash has gift cards to your favorite stores. Visit DealDash now to see how much you can save. Have a great time on DealDash and happy bidding everyone! This entry was posted in Crafts and Sewing, Kids and Parenting, Seasonal and Holiday and tagged crafts, Deal Dash, DealDash, DealDash Auction, dealdash auctions, dealdash.com, family, gift cards, holiday, kid, kids, parenting, valentine, valentines day, wal-mart on February 13, 2019 by . Making a New Year’s resolution is a smart idea. Even if you only stick to it for a few months that is still progress. Here are some ideas from DealDash for some resolutions to consider. The new year is coming, and it is time to do something different with your life. 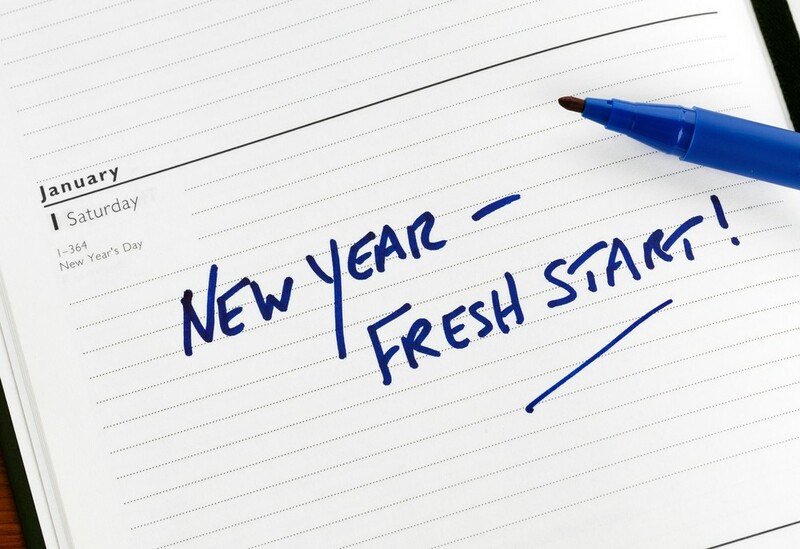 Many people make New Year’s resolutions to change the course of their year. Some people don’t know what type of resolutions to make for the New Years Day resolution. Sticking to a New Year’s resolution can be difficult, but with determination, you can meet your goals. Here are three New Year’s resolution ideas that you can do for the New Year, from DealDash. Are you tired of doing the same old thing? Picking a hobby is a good New Year’s resolution. There are so many hobbies to choose from such as painting, writing, sports, reading and more. Having a hobby reduces stress levels and relaxes your mind. Try doing something that is out of the box for your personality. Learning a new hobby can make the New Year more Enjoyable. If you are looking for items to use with your new hobby, check DealDash first. DealDash has some great items for hobbies such as arts and crafts, reading, and more. If you would like to pick up the hobby of reading, DealDash has both E-readers, tablets you can get book apps on, and even gift cards to buy books. Check them out right here! Moving more is a good goal to have for the new year. You don’t have to run a mile. There are simple things you can do to start moving more such as going for walks, dancing, and having a good time with friends. Getting out more is especially important for people that work a sit-down job. When you move more and get your heart pumping you will reap the benefits. Of course, DealDash has exercise equipment! Just click here to check out the Hobbies, Toys, Outdoors, and Games category. Almost everyone has a goal of losing weight as a New Year’s Resolution. You don’t have to worry about losing a ton of weight. Making small changes to your health can be beneficial. You can cut back on calories and sweets. Simple small changes in your diet can make a big difference. Even losing just 10 pounds can make a difference in how you look and feel in the new year. You can do it! Having a New Year’s resolution is important. These ideas for New Year’s resolutions will prepare you for the new year. It is time to get out of your comfort zone and have a great New Year creating new memories and achieving your goals. Thanks so much for reading this DealDash article on preparing a New Year’s resolution. Don’t forget to check back often for new articles here. We love to hear from our readers, tell us if you are making a New Year’s resolution in the comments. Do you need hobby items? Go check DealDash for craft supplies and gift cards. DealDash also has sports items. Visit DealDash now to save. You’ll be glad you did! Have a great time on DealDash and happy bidding everyone! This entry was posted in Crafts and Sewing, Fitness, Lifestyle and tagged arts, craft, Deal Dash, DealDash, DealDash Auction, dealdash auctions, dealdash.com, family, gift cards, health, holiday, new years, resolutions on January 3, 2019 by . People of all ages and skill levels can enjoy scrapbooking. Here are some ideas to think about when you are creating a scrapbook with your kids. Read on for more information from DealDash. If you are looking for a meaningful craft to do with your kids you should most certainly consider making scrapbooks with them. There are so many great reasons as to why you should start making scrapbooks with your kids. Scrapbooking is a great way to bond with your kids, and you won’t even have to spend a lot of money, either! Scrapbooks are a great way to preserve memories of friends and family. You can have fun preserving fun memories like family reunions and family vacations. Also, you can preserve memories of fun times with friends. Making a scrapbook can really be almost as much fun as creating the memories themselves. Even better, you and your kids can look back on the time you created a scrapbook as a lovely memory as well! You can really allow your kids to express their creativity when it comes to making scrapbooks. You can let your kids make their own scrapbooks by letting them design their own pages to proudly display the pictures that they have taken. It is a fantastic way to let their creativity shine through in their work. Many craft stores have inexpensive scrapbooks with fun covers that they can choose from. They can also get one with a plain cover and decorate it as well. Scrapbooks can be as simple or as complicated as you would like them to be. This is great news as kids of all ages can take part in making a scrapbook. You can make simpler scrapbooks with younger kids and let older kids tackle more complicated designs. For the youngest of kids, say preschool age, you might want to let them pick the photos and the placement of the items in the scrapbook. However, you would do the actual gluing and decorating. For elementary-aged children, you can work together to create an amazing scrapbook. Kids as young as age 2 can “help” you with the scrapbook by coloring in a picture or choosing some stickers to put in the scrapbook. Scrapbooks can make wonderful gifts that you can give to friends and family. Your kids will be so proud to have the recipient see all of their hard work. They are especially great to give to grandparents that may not live in the same area that your family does. It can also be a wonderful gift for your kids to give to their cousins that they don’t see very often so they can get to know each other better. If you would like to save money on your craft supplies, why not bid on a gift card from DealDash? DealDash has gift cards to major retailers like Wal-Mart and Target that carry craft supplies. Remember, if you bid on a gift card and don’t end up winning you can always buy the gift card at face value (called doing a Buy It Now), and you will receive back all of the bids that you placed on that auction. As you can see there are a great many wonderful things about creating scrapbooks with your kids. So if you are looking for something fun to do with all of your kids then gather up the needed supplies to make some scrapbooks with them. You will really enjoy seeing all of the different designs that they come up with when preserving some of your favorite pictures. Thanks so much for reading this DealDash article on making scrapbooks with your kids. Don’t forget to check back often for new articles here. We love to hear from our readers, just leave a comment down below. Do you need gift cards for craft supplies? Go check DealDash for gift cards to stores and restaurants. DealDash has gift cards to your favorite stores. Visit DealDash now to see how much you can save. Have a great time on DealDash and happy bidding everyone! This entry was posted in Crafts and Sewing, Kids and Parenting, Lifestyle and tagged child, children, clean, crafting, crafts, Deal Dash, DealDash, DealDash Auction, dealdash auctions, dealdash.com, family, gift cards, kid, scrapbook, scrapbooking on November 10, 2018 by . Handmade Christmas ornaments are not only beautiful but also make great family heirlooms. Here are some suggestions from DealDash to help you with your decorating needs. Christmas is the perfect time to use your creative juices. Decorating your home for Christmas can be a rewarding experience. You don’t always have to buy the most expensive decorations though. There are decorations that you can make from home. Not only is it fun to make homemade decorations, but it will also put you in the holiday spirit. Here are 3 easy homemade Christmas decorations that you can make to show off your crafty skills. Wreaths can sometimes be expensive. That is why it is better to make them yourself. Just simply add flowers, greenery, and then cover the wreath with fake snow, to give your door a wintery feel. Making a snowy wreath for your door is easy, and fun to do. If you want the same look with a little less crafting, you can buy a pre-made wreath and spray it with fake snow. Greet your guests with an upholstered banner. You can create a holiday banner for almost any occasion using chipboard letters and fabric. You can post a sign saying different Christmas greetings such as Happy Holidays, Merry Christmas, or Season’s Greetings. Hang the banner anywhere in your house, but make sure your guests can see it. If you’d like, you can even make the banner double-sided with a different phrase on each side. Create a warm and welcoming entryway with for guests during the Christmas time. Simply fill some mason jars with any brand of Epsom salt for a snowy look. Then add small candles, and line them in the walkway that is leading to your door. Your guests will feel like they are in a winter wonderland. This is great for having a holiday party or if you know that Christmas carolers will be coming to your neighborhood. Decorating for Christmas is a lot of fun. There are no rules when it comes to decorating for the holidays. If you need to but home decorations, DealDash is the place to go! Check out the Home, Garden, and Tools category on DealDash. These tips will save you a lot of money on decorations for your house. These homemade decoration ideas are easy to follow. I hope these Christmas décor ideas will help you bring the Christmas spirit to your home. These quick and simple crafts will make your home look lovely for the holidays. There are so many things you can do to decorate cheaply and beautifully. By implementing any of these ideas you and your family will love how your house looks for the holidays! Thanks so much for reading this DealDash article on holiday decorations. Don’t forget to check back often for new articles here. We love to hear from our readers, tell us what your favorite holiday decoration is, and where you put it. Do you need holiday items? Go check DealDash for decorations, home items, and gloves. DealDash has the gifts you need. Visit DealDash now to see how much you can save. Have a great time on DealDash and happy bidding everyone! This entry was posted in Crafts and Sewing, Home, Lifestyle and tagged crafting, crafts, Deal Dash, DealDash, DealDash Auction, dealdash auctions, dealdash.com, decorating, family, holiday, holidays, home, home decor, house on November 6, 2018 by . The holidays are a wonderful time to do crafts with your kids. Here are some suggestions for some fun crafts to do with your kids or grandkids. Kids love holidays, especially Christmas. They love receiving presents and being out of school for a week. One of the best things to do with your kids during the holidays is arts & crafts. You can get your kids into the Christmas spirit by making a variety of crafts. Making holiday crafts will also keep them entertained. Here are some fun holiday craft ideas for kids from DealDash. Snow globes are perfect for the holidays because there is something magical about them. When you use Epson salts and a clear shot glass, you can easily make a mini snow globe. Simply add 1 tablespoon of Epson salts to the shot glass. Then, line the rim of the shot glass with tacky glue to create a base to go under the shot glass. After you line the rim of the shot glass, add some pipe cleaners in the color that you choose. Then, shake up the globe and enjoy the winter wonderland. Making shinning stars is simple. Your kids can make as many as they would like too. Cut some shapes from disposable foil pans. Then place them on some cardboard. Use a craft tool like a pushpin to create patterns. Turn the star into an ornament by adding some string to it. You can create a 3-D mosaic with a pom-pom in the color of your choice. In order to make the pom-pom, you have to insert a pin into the pom-pom. Then press your pin into a medium size styrofoam ball. Do this step until the ball is completely covered. All you have to do is add a piece of ribbon to hang the styrofoam ball on a tree. All of these things sound great, right? Well, I’ve got good news, DealDash can help! DealDash has lots of tables, desks, and storage that is just right for keeping all of the craft supplies in. Also, DealDash offers gift cards that can be used to get craft supplies or even a sewing machine at a big box store such as Target or Wal-Mart. The best thing about bidding on gift cards on DealDash is that if you don’t win you can always perform a BIN (Buy It Now) and receive each of the bids back that you placed in that auction when you pay. After completing your payment DealDash will credit your bid bank back with the bids that you placed in that auction. Also, you will get free shipping! Christmas is the perfect time to do crafts with your kids. You can bond with them all while having fun making holiday crafts. Your kids will enjoy these craft ideas, and they are simple to make. Remember to have fun and enjoy the spirit of Christmas. Thanks so much for reading this DealDash article on holiday crafts to do with your kids. Don’t forget to check back often for new articles here. We love to hear from our readers, just leave a comment down below. Do you need craft storage or a new desk? Go check DealDash for shelves and craft accessories. DealDash has items to help. Visit DealDash now to see how much you can save. Have a great time on DealDash and happy bidding everyone! This entry was posted in Crafts and Sewing, Kids and Parenting and tagged Christmas, crafting, crafts, Deal Dash, DealDash, DealDash Auction, dealdash auctions, dealdash.com, family, fun, holiday, kid, kids on October 31, 2018 by .